A serious lack of blogging hey?! Well I don't really have an excuse. But here's what I have been doing when I haven't been tip tapping away on my keyboard. Watching this documentary. It appropriately screened one year on from our most devasting earthquake. 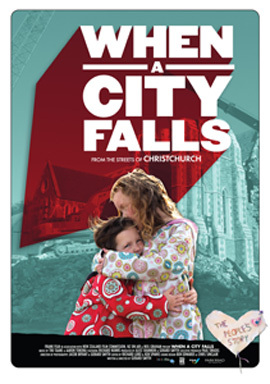 If you're not from Christchurch I sincerely recommend you watch this to understand what the city went through. Working. Yep, I'm a working girl/lady. I've been busy trying to organise film shoots around the rain, doing presentations to the CEO and managing my largest campaign to date. Quite energy sapping! 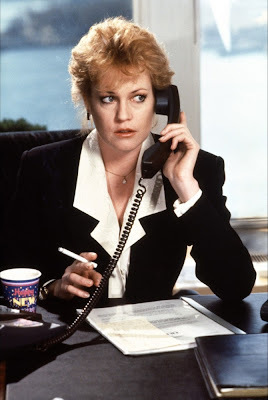 I don't have a cool eighties suit like Melanie Griffiths but I have been dedicated to working lately to try and achieve one of my New Year's Resolutions to appreciate my job more. Playing words with friends. Why is it so addictive?! Listening to this. How good is it?! (Thanks for the link Jeanie). Who said country tunes have to be lame? trying to find a good novel to read - recommendations please! and getting excited for our quick trip to Wellington this weekend. I will post a summary on Sunday when we get back!